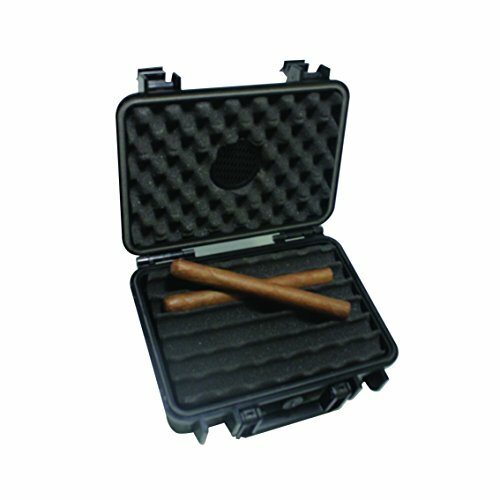 F18 travel humidor will fit perfectly into a golf bag, Briefcase, Glove Compartment, or tackle box. Holding up to 18 Cigars, this airtight, watertight, and crush proof humidor is an excellent case. Made from super-strong ABS molded Plastic and featuring a silicone airtight and watertight seal, this travel humidor ensures the protection of your cigars. Inside is lined in foam to cushion your cigars. The humidor is guaranteed to keep your cigars moist and ready to smoke. Can be used for storage box by removing foam for bikers on the go. Also has use by storing away your jewelry or valuables. If you have any questions about this product by F.e.s.s. Products, contact us by completing and submitting the form below. If you are looking for a specif part number, please include it with your message.